The idea for this recipe came to me one night late last week while I was lying in bed trying to fall asleep. I swear that all of my greatest inspiration comes to me right at that time! I was so excited about this recipe, that literally just popped into my head, that I actually got out of bed to write down my idea before I forgot it! 1. Prepare cake mix according to directions on box. Pour half of batter into pan. 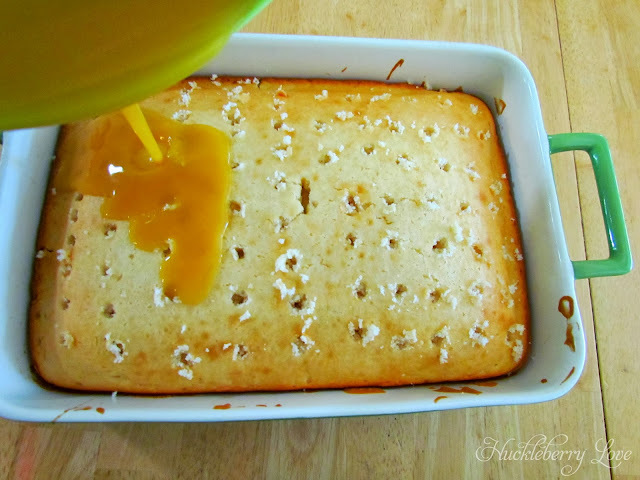 Then swirl two Tablespoons of caramel topping over batter. Top with remaining batter. Bake cake according to directions on the box. Remove cake from oven and let cool completely (about one hour). 2. 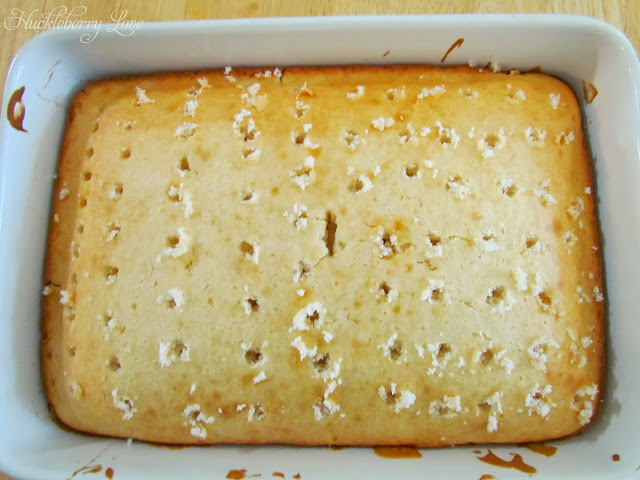 Using a fork or bamboo skewer, poke holes into the cooled cake. 5. 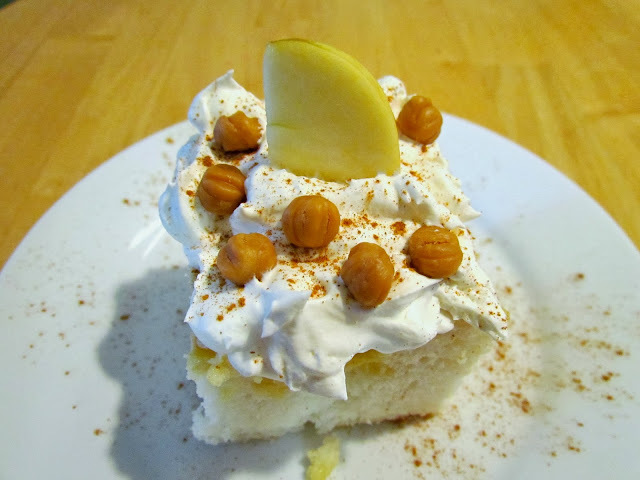 Slice cake and add cool whip topping to each piece. Top with apple slice, caramel bits and cinnamon. Serve! This cake was delicious! It wasn't soggy at all (like some poke cakes can be). My husband and both of my toddlers loved it and asked for more. A sure sign of a winning dessert! 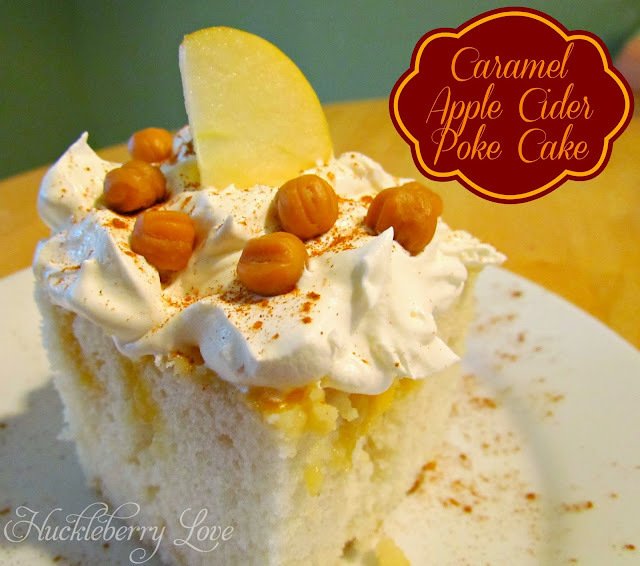 The only thing I would change would be to add more caramel to the cake itself. I felt that the caramel flavor was lost amongst the apple cider goodness. 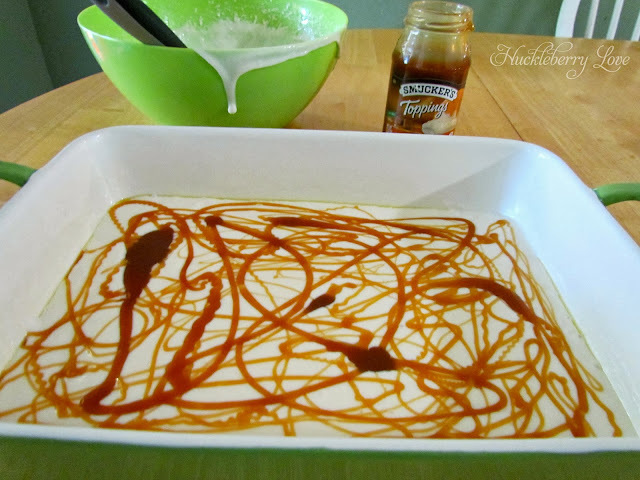 Perhaps try adding half a cup when you make it and see if that gives it more of a caramel kick.